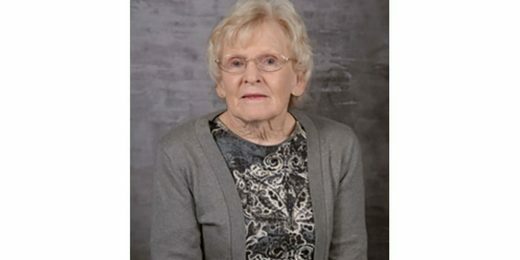 A 77-year-old North Carolina teacher has died of injuries suffered in a mysterious animal attack Friday in the small Beaufort County town of Pantego, according to a Monday Facebook post from the school where she worked. Investigators with the Beaufort County Sheriff’s Office are still trying to determine what kind of animal was involved in the attack. Beaufort County is home to bears, alligators and coyotes, but “preliminary DNA testing facilitated by NC Wildlife Biologist has eliminated any wild animals indigenous to the area,” said a statement issued by the Beaufort County Sheriff’s Office. The victim was identified by the sheriff’s office as Brenda Hamilton, a high school teacher at Pungo Christian Academy in Bellhaven. School officials announced in a Facebook post at 11 a.m. Monday that Hamilton died of her injuries at Vidant Pitt Hospital. A 911 call at 5:47 a.m. Friday reported someone had been attacked by an animal on Indian Run Road in Pantego, said the sheriff’s office. The town of about 200 people is not far from the Pamlico Sound in coastal North Carolina. 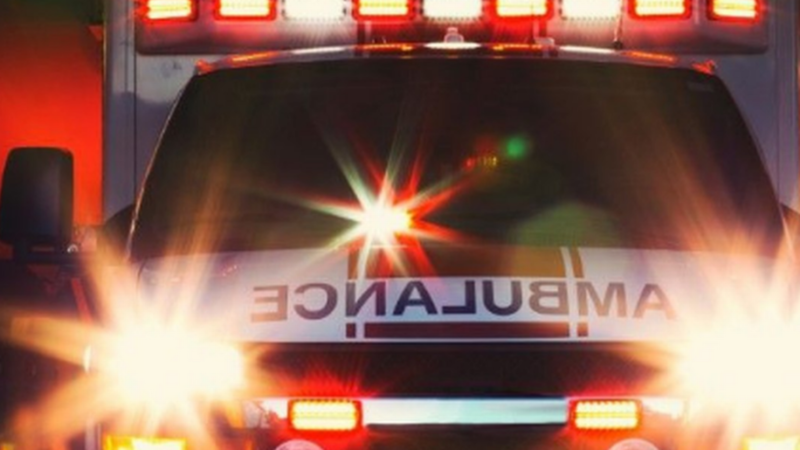 “Beaufort County EMS and Paramedics arrived to find 77-year-old Brenda Hamilton of Pantego suffering from severe injuries as a result of the attack,” said a sheriff’s office release. Biologists with the N.C. Wildlife Resources Commission have joined the investigation, officials said. “Beaufort County Sheriff’s Investigators are continuing to investigate to determine which, if any domestic canines in the area may have attacked Hamilton,” said a release. Hamilton was an East Carolina University grad who had been a teacher at Pungo Christian Academy since 1968, according to the school’s website. She taught high school English and literature classes, said the school. “We continue to discover how devastating Mrs. Hamilton’s injuries are. Please keep praying for Mrs. Hamilton and her family as they make difficult decisions in the coming days,” said a Sunday Facebook post by the school. Have you ever wondered why Ohio doesn’t have an official state monster? Me neither, but one reason might be it has too many mythical creatures, swimming monsters and other strange cryptids to choose just one. If the Loveland Frogman, the Minerva Monster, the Grassman or any other Buckeye State beasts are planning to lobby the state legislature for the title, they might want to step up their efforts because there may be a new cryptid in the competition… the Akron Pond Monster. That’s the extent of the analysis by Jeremy Durant, an Ohio resident who this week recorded and uploaded not one but two short videos (see the first here and the second here) of something apparently swimming or floating in the Little Turtle Pond, which is not far from the famous Firestone Country Club and golf course (which has hosted the PGA championship three times) and the Cuyahoga Valley National Park where there have been a number of Bigfoot and/or Ohio Grassman encounters. Mysterious Universe was on top of the story and reported that Durant thought it might be an alligator – a species not native to Ohio, while wildlife officials from the Summit Metro Parks thought it might be a dying fish. Could it be Bessie, Lake Erie’s monster namesake of its American Hockey League team, or one of her offspring? It’s about 40 miles from Lake Erie to Little Turtle Pond, but the alleged 40-foot monster, first reported in 1793 by a ship’s captain, was generally seen further west near the lake’s large islands. One theory is that Bessie was a large lake sturgeon, which the lake still has but in smaller numbers and length. 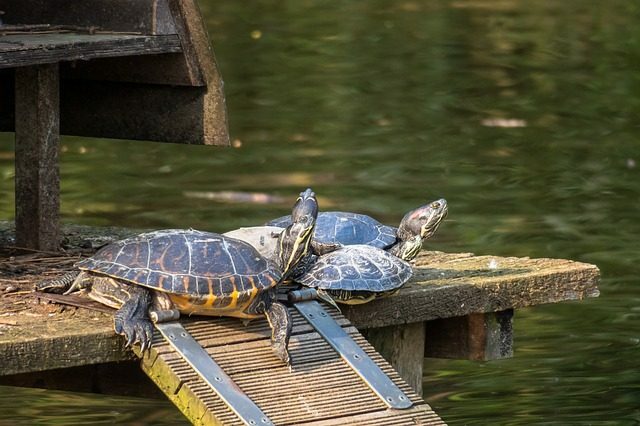 While Little Turtle Pond does have fish (and turtles), it’s not suitable for sturgeons. How about a Frog Man? The pond is over 200 miles from Loveland, a Cincinnati suburb where in 1955 a man reported seeing three four-foot-tall upright frogs apparently talking (croaking?) and waving a wand (hoping one would turn into a princess?). The Loveland Frog Men have been reported numerous times (most recently in 2016) but always in Loveland near the Little Miami River. Maybe it was the Charles Mills Lake Monster? In the initial 1959 sighting, three boys allegedly witnessed a 7-foot-tall armless humanoid with scales, luminous green eyes and large webbed feet emerge from the lake (a manmade reservoir), which is about 60 miles from Little Turtle Pond. While it was never seen again, some think the 1963 report of an 11-foot-tall hairy beast with orange eyes spotted near the Charles Mills Reservoir was actually the Lake Monster. 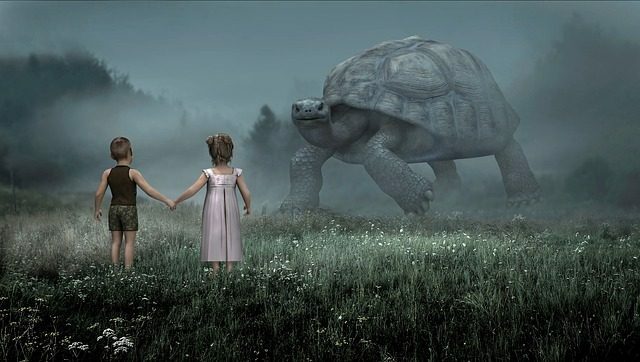 Could it be a turtle monster? Could that “thing” be the Crosswick Monster? In 1882, a boy in Crosswick, which is 20 miles north of Loveland, claimed he was carried off by a reptilian monster rumored to be living in or near a local creek. The boy was found in a massive tree, which 60 local men chopped down and found the monster, which ran off, but not before they got a good look at it. The Crosswick Monster was never found nor seen again and some people think it was an escaped monitor lizard or an alligator that the excited and possibly inebriated men saw. Which brings us back to the Little Turtle Pond monster. Was it an alligator as Jeremy Durant speculated? A dying fish? Or will it be entered into the annals of Ohio cryptids? Did you watch the videos? Good luck with that! An American hunter living in northwestern Pennsylvania shared a very unusual snapshot. According to the man, in recent weeks he began to notice that someone was chasing him in the forest. A tall dark silhouette appeared on the hills, hiding behind trees and rocks. The man, surprised and even somewhat frightened by this, decided to find out whose attention he drew to himself, what animal was following him, and so he set up several trap cameras in the forest. Cameras that react to movement take pictures when something flashes in front of them: an animal running past, a bird flying next to it, or even a leaf falling from a tree. The American received several dozen of such pictures. But then camera caught a mysterious stranger for whom it was actually placed. The most amazing thing is that he clearly approached the camera and looked directly into its lens, apparently because of curiosity. A shaggy massive figure, similar to a monkey, was imprinted well enough on the photo so that it could not be confused, for example, with a falling leaf. Of course, many, including the hunter himself, felt that the device had “caught” the legendary Bigfoot. Perhaps the alleged relic hominid noticed that the camera strikingly stands out against the background of everything around and began to look at the strange object with surprise. The picture interested many cryptozoologists and researchers of the Yeti. 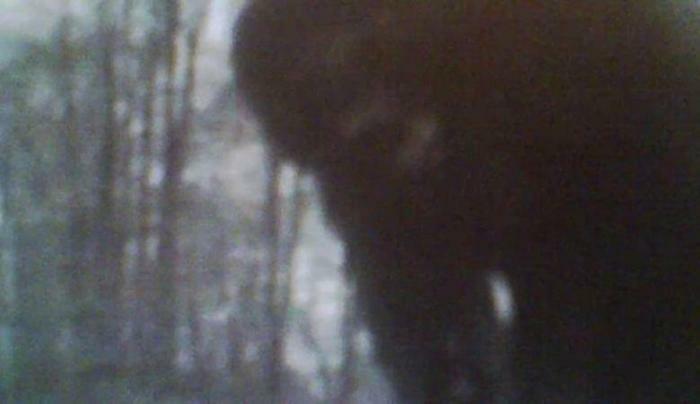 Most of the experts who studied the photo concluded that it is genuine and shows bigfoot. Unfortunately, even in this case, the quality of the photo is not so good, but, apparently, it’s such a yeti creature: clever and elusive, but… certainly curious. Known as a cryptozoological creature, local residents living in Honduras are terrified of a chupacabra that has been on a killing spree recently. The said creature, is small in stature yet ferocious enough to take down bigger prey. This canine type animal, resembles that of a hairless dog in most descriptions. Reports of chupacabra come from places such as Texas, Florida, Puerto Rico, Mexico, Chile, Nicaragua, Argentina, and the American Southwest. 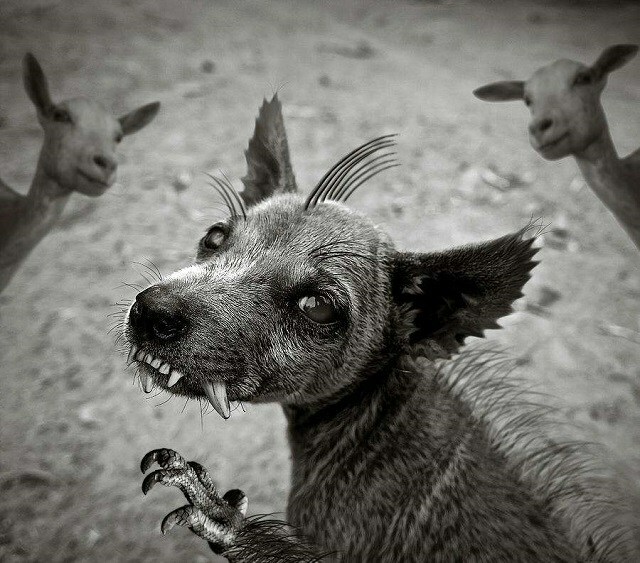 These Hispanic canine type vampires, have decimated livestock on farms and people’s other property. Descriptions of these unusual bipedal beings, include them having a spiny back with protrusions coming from their head as well. 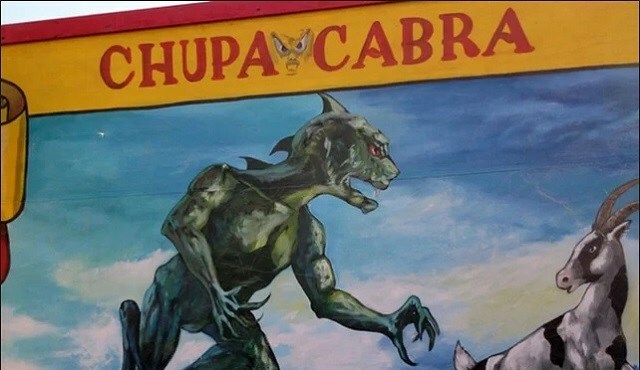 A person has been claimed to have been killed by a chupacabra. The only information released is the name “Geovany”. His body was found with unusual markings made upon him. This young man is from Yamaranguila, Intibucá in Honduras. From what is understood, this young man went to a dance party located in Yamaranguila, he then left around midnight heading back home to his village only he never arrived. Three days passed, before his body turned up on a mountainous area. A local resident explained this named José Martínez. Now, people are fearful of going out especially alone in remote areas. Several weeks before all of this happened, a farm worker known as “Tulio” was found dead on a farm near the village of El Naranjo, Siguatepeque, Comayagua. The body of Tulio had puncture marks on his feet. It was as if he was injected with something and all of his blood was drained away. One of the local villagers named Miguel Angel Martinez went out early in the morning to cut a few branches, to create shade from a tree. After this, he removed his shoes to get more comfortable. There was a hole in the ground nearby and allegedly a strange looking animal came out of it. This animal attacked his feet draining away his blood. Martinez is now terrified to go out into the mountains. Other attacks have been made or reported about in other communities areas around here. There have been several cows that have died in rather mysterious ways also. News of chupacabras attacking people and livestock is not new, but it seems there are more incidents being reported about recently. Perhaps this crypto type animal, is breeding more as news of them has traveled from around other parts of the world as well. Obviously the local residents are scared and puzzled about these strange deaths. There have been veterinarians who have been brought in to examine the livestock cases. The chupacabra is a cold and calculated killer, leaving behind little to no evidence behind. They have even penetrated well-guarded areas. Massive amounts of blood are drained away, leaving either animals or people left to die. Some believe, that these creatures are that of a supernatural variety.